I took this image the first day people were allowed in Seaside Heights. 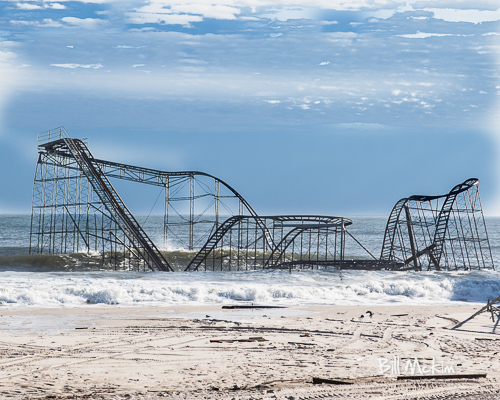 This is the Jet Star Roller Coaster (fell into ocean during Hurricane Sandy) rare early print, before the American FLag was added to the Roller Coaster by a fan . this historic print is 11 x 14 ready for your frame, free shipping.